With massive investment over the past 20 years, the North Island of New Zealand has become a world-class destination for not only fly fishing, but great golf as well. 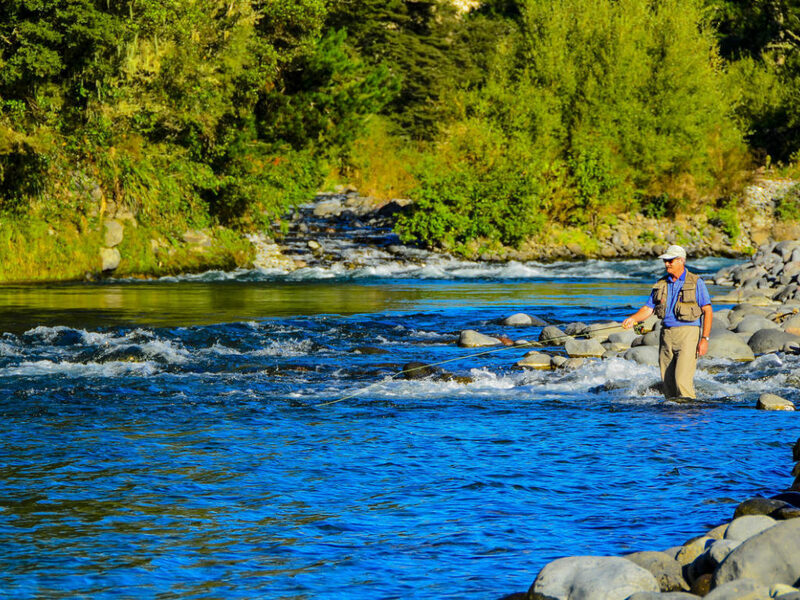 Although there are more locations in which to golf than fly fish, given the need to have the right type of water and conditions for trout, a few locations that which stand out are the Taupo area and Hawke's Bay regions. 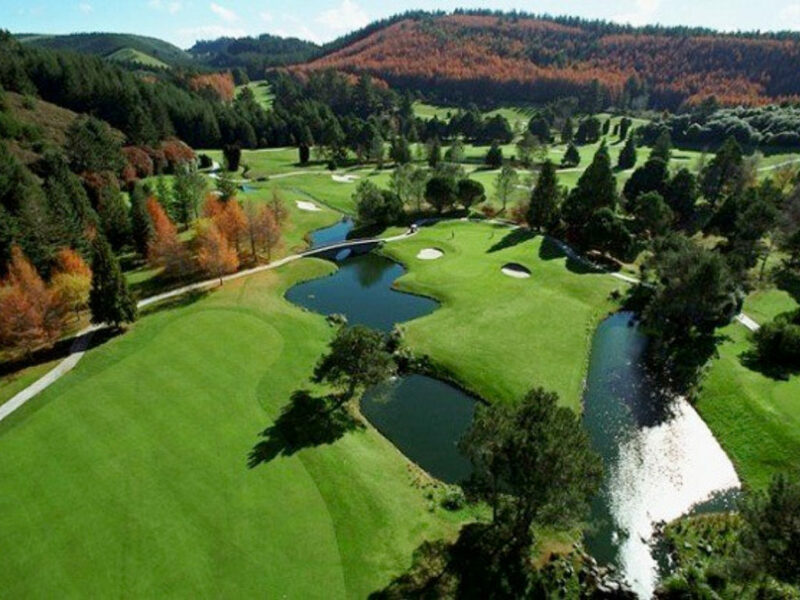 Located 4 hours drive from Auckland in the middle of the South Island, Taupo provides great access to fly fishing and golf. Choices between super-luxury stays, traditional fly fishing lodges and B&Bs provide a range of choices to stay depending budget and number of people in your party. Fresh food & great wine help define the Hawke's Bay area. And while its rugged coastline and art deco architected city provide a few of the many scenic highlights in the region, its combination of golf and fly fishing access are a special combination. The Tongariro River outside of Taupo is perhaps the most well known river in New Zealand thanks to Zane Grey's writings from the early 1900s. However, as a region Lake Taupo and the tributary rivers provide something for anglers of all levels. 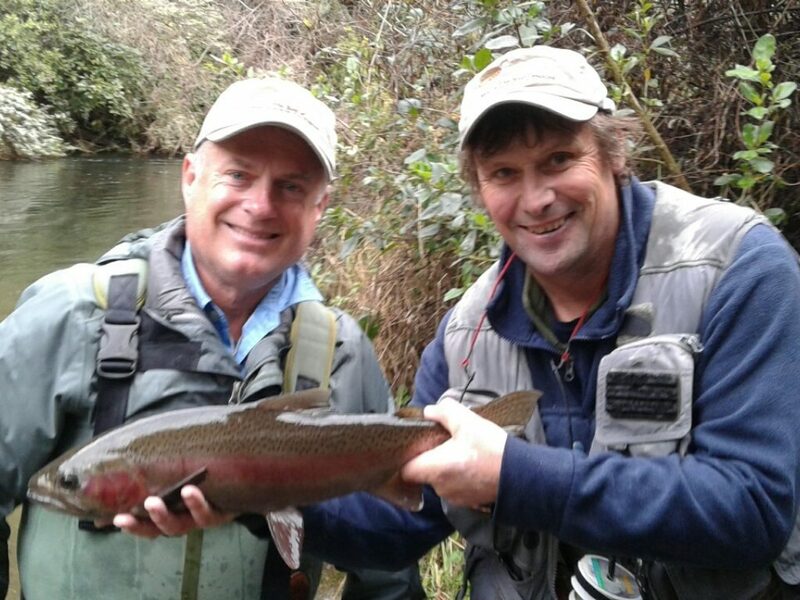 The number of rivers in and around Taupo is incredible, including opportunities to fish on private lands and farm land, which see less pressure from other anglers. Hawke's Bay offers a range of waters to fish from small creeks to larger pieces of water which drain from the upper reaches and into the area's many tributaries. And depending on conditions, one's health and angling requirements you may expect anything from trekking through remote native bush to find top-quality wilderness fishing or more easily accible lake fishing (great for younger anglers or for those looking for easier access). 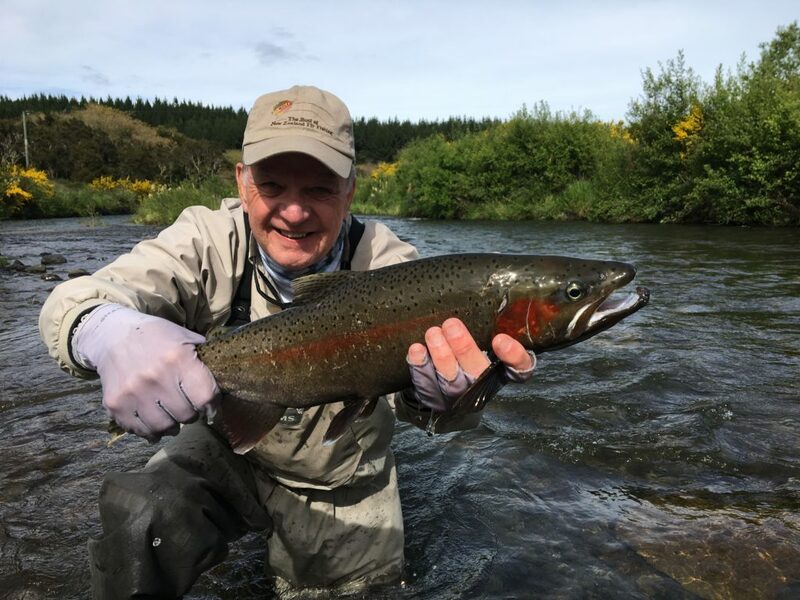 Both brown and rainbows are in the area and for the most part the water is very good, with rivers only being unfishable in more extreme weather conditions and rains. Rivers in this are include the Mohaka, Tutaekui, Ngaruroro, Tukituki and its tributaries... including the Waipawa. From inland links-style courses to parkland and coastal courses, the North Island really does have it all when it comes to variety of golf. In addition to those mentioned below, visit www.bestofnzgolf.com for more in depth information on golf throughout New Zealand. The value our team can provide to you is in our ability to seamlessly weave golf tee times, transportation, etc. into an overall itinerary. Especially for parties in which there are multiple members, aligning individual activities in the more efficient manner throughout the day will ensure time is not wasted, while at the same time avoiding a feeling of being rushed. Our goal is to make sure that everyone has the best time possible - individually and within a greater group. 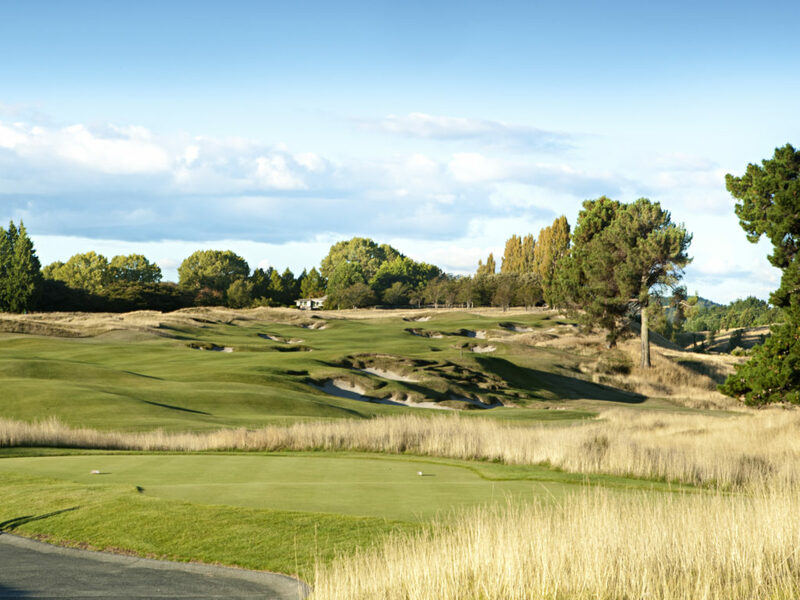 Kinloch Club: This Nicklaus-designed courses is located on the north side of Lake Taupo and offers one of the best challenges for golf in the country. Both the course and accommodations here are stunning, including views of Lake Taupo. Wairakei Sanctuary: Part bird sanctuary part golf club, Wairakei is a local favorite and very accessible and pleasant course to play in the Taupo area. With a newly built cafe/restaurant, finishing a round here and having lunch or a drink is lovely. 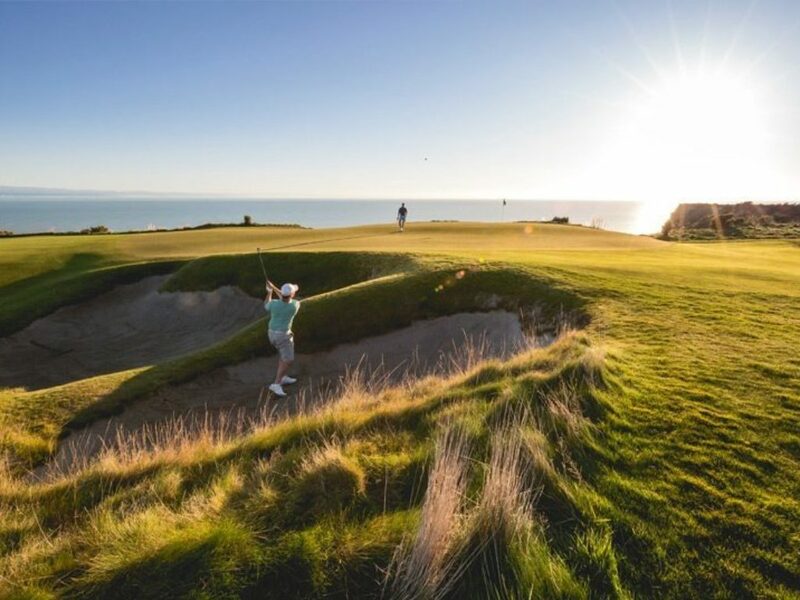 Cape Kidnappers: One of the original super-luxurious courses and sister to Kauri Cliffs (also on the North Island), the cliff-side views afforded from this Tom Doak design are spectacular. It is well deserved to be a top course to play in the world.